ON A MISSION convinces by unleashing a great amount of power while it holds some surprises regarding its very unique lineup, featuring MANOWAR co-founder Ross the Boss (guitarist from Battle Hymns to King of Metal, 1980 - 1988) and former ICED EARTH members John Greely and Raphael Saini. 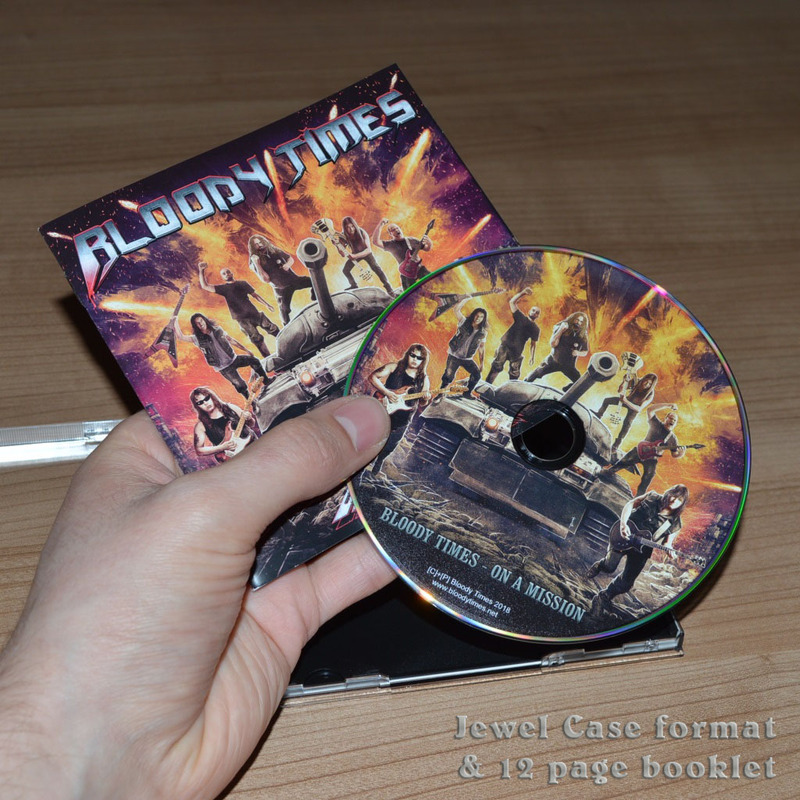 Yet you should not expect to get a style-copy of ICED EARTH or MANOWAR, but we didn't deny those influences while searching for our own Bloody Times metal style - check it out, it will be worth the journey. With this album, Bloody Times evolved out of a pure solo-project into a hybrid of solo and band. While there's a stable formation on bass, drums and vocals, the spot for the guitar were open for guests. As result, nearly every song features a different guitarist, this includes the well-known former MANOWAR guitarist Ross the Boss on track 1. 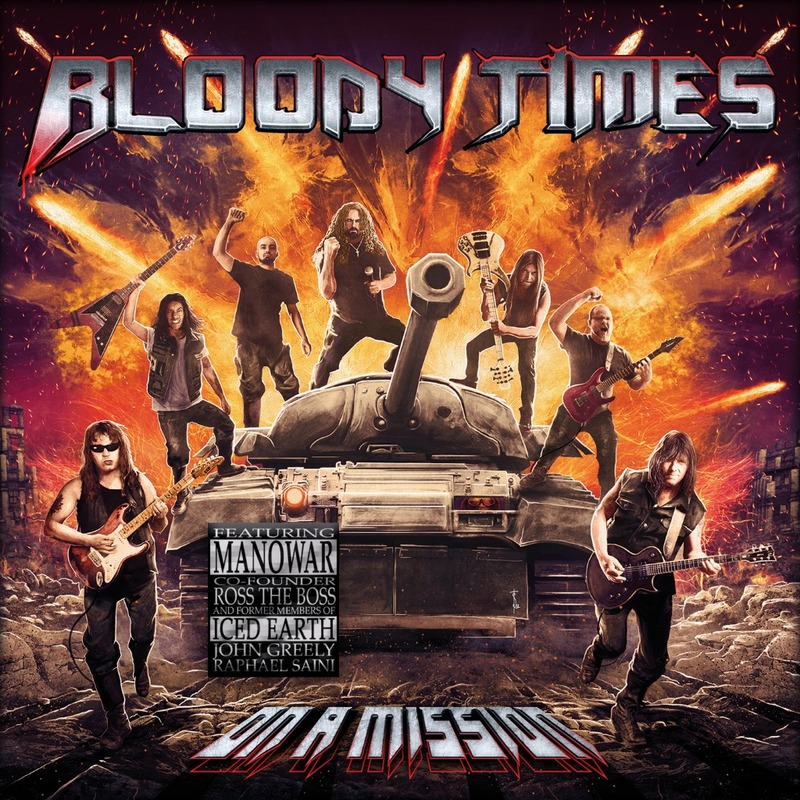 Bloody Times hat sich mit diesem Album aus einem reinen Solo-Projekt heraus zu einem Band-Hybrid weiterentwickelt. Während auf "ON A MISSION" eine stabile Formation für Bass, Schlagzeug und Gesang vorliegt, wurde der Gitarren-Platz mit unterschiedlichen Gästen besetzt, darunter auch der ehemalige Gitarrist und Co-Gründer von MANOWAR, zu hören auf dem ersten Lied der Scheibe. Ross the Boss is most famous for starting the band MANOWAR with Joey DeMaio in 1980. 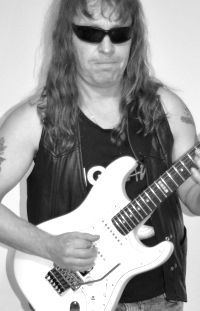 As the original guitarist of MANOWAR, he recorded Battle Hymns, Into Glory Ride, Hail to England, Sign of the Hammer, Fighting the World and Kings of Metal until 1988. Balazs first started with a guitar when he was in secondary school as classmate of Simon Pfundstein. Together they tried to start a local band during this time. The band never came to life due to the lack of other musicians. Years later after his immigration to Finland, both former classmates reunited over the internet and he joined Bloody Times with his creative guitar playing. 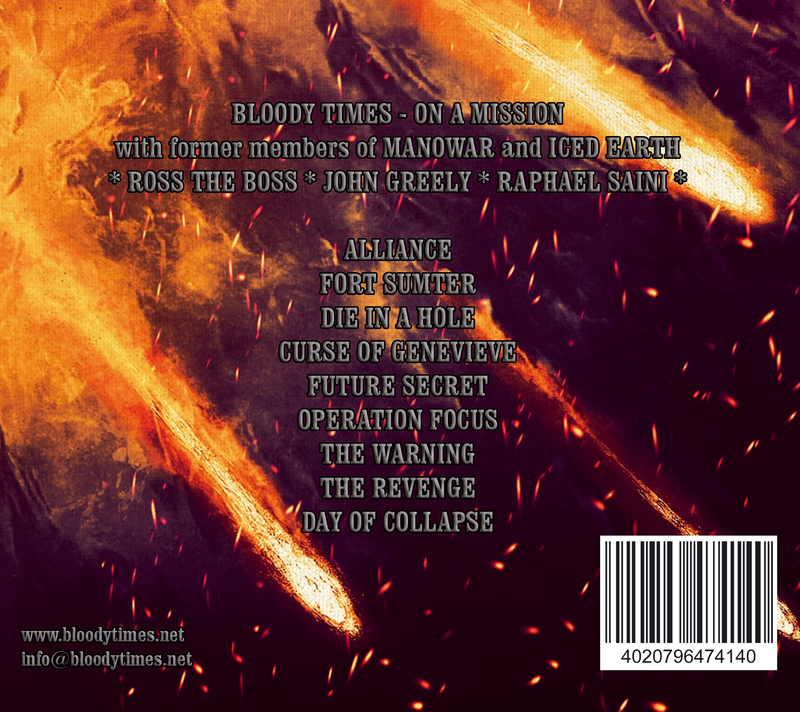 Recorded guitar on "Day of Collapse"
Father of project founder Simon Pfundstein and longtime guitarist in the local band BigMama covering Iron Maiden, Judas Priest, Saxon, Manowar, Metallica, AC/DC and many more. 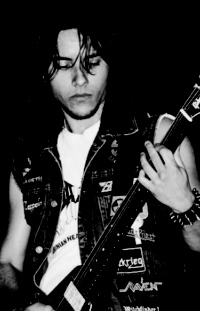 He supported Bloody Times with some solid guitar recordings on the album "ON A MISSION". 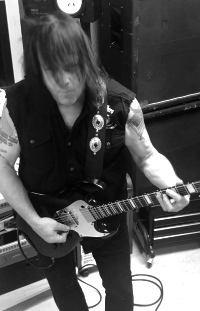 Recorded guitar on "Operation Focus"
Marco is the guitarist of the Italian metal band INEXIHIBIT, and also he's a mix and master engineer. He supported Bloody Times by recording his screaming guitar to one song, and he mixed the first Bloody Times release. 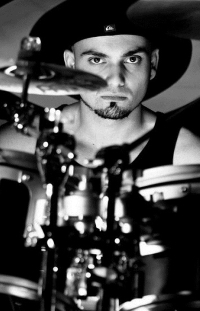 Known as "a drum assassin, cold blooded precise and brutal" (Quote Modern Drummer) Raphael plays drums since the age of 14 and till now he played with different bands and toured Europe several times. One band he toured with is the heavy metal legend Iced Earth where he met Simon Pfundstein in 2013, when Bloody Times was not even born. Later he also recorded the album "Plagues of Babylon" with Iced Earth, before he left the band in 2014. John is known from Iced Earths legendary "Night of the Stormrider" era. 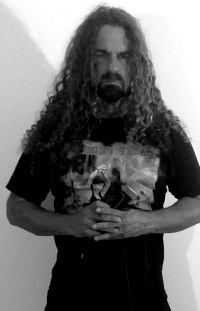 He recorded their 2nd album and toured Europe with his unique, powerful metal voice. He was active in different metal projects and bands after his departure from Iced Earth. Since 2007 he has his own band from Tennessee called Seventh Servant, and since 2017 he sings with Bloody Times. Born 1992 in Germany he grow up in a metal-family. He made his first music experiences at a young age. 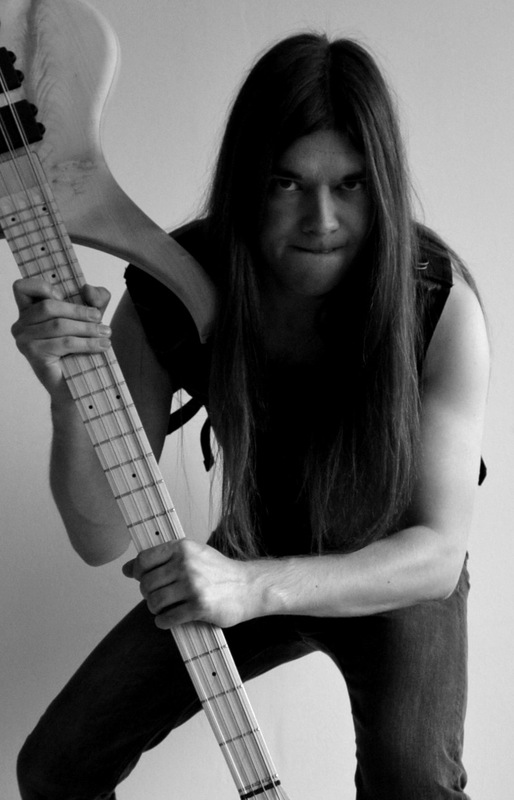 Then at the age of 16, he started to learn bass guitar on his own, inspired by Heavy Metal classic bands like Manowar, Iron Maiden, Running Wild and Savatage. 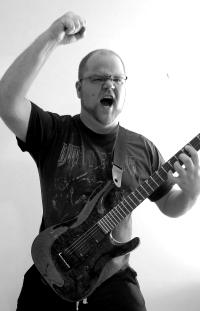 He recorded also guitars and vocals in previous releases. Today he focuses entirely on bass guitar and songwriting, except certain vocal parts (backing vocals). This album was proudly mixed and mastered by OGrego.